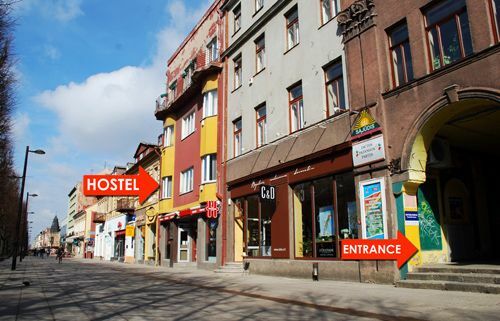 The first backpackers hostel in Kaunas! At our small cozy oasis, on the main street in the very heart of town, all guests are treated as friends. Our main goal is to help you enjoy your stay in Kaunas. We know the best places to visit and our young staff are happy to give you tips about cool restaurants, pubs, sight's, shop's and club's. 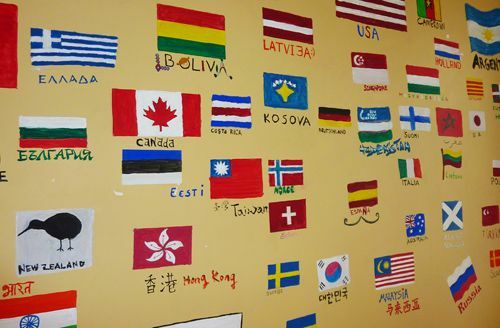 It`s the main student city so we can assure you that you won't be bored!!! The friendly atmosphere in our common room will make you feel at home. You can test your cooking skills in our fully equipped kitchen which has a unique selection of spices. After lunch you can sit around the fire whilst enjoying a lovely cup of tea. That is just an introduction, come over to experience the spirit of Kaunas! From the TRAIN STATION:Go to the main street called 'Vytauto Pr.' and walk straight for 400m where you will reach the bus station. For further directions read 'Directions from bus station'.From the BUS STATION:By foot: Go to the main street called 'Vytauto Pr.' and turn right. After 800 meters you will reach 'Laisves Aleja'. Turn left onto 'Laisves Aleja' and walk straight for about 600 meters. On your right side look for a Hesburger restaurant, the building number 48. IMPORTANT: 10 meters before Hesburger turn into yellow/green courtyard on your right. You will find a small sign above the stairs on your left.From Kaunas AIRPORT:By bus: When you arrive at Kaunas airport go to the bus stop (called 'Kauno oro uostas'). There are two buses going to Kaunas city center. These are buses number 29 and 29E. You can buy a ticket from the driver. You need to get out at the 'S.Daunkanto gatve' bus stop. It should take between 35 to 45 minutes. When you get off the bus walk back in the direction the bus came from, for about 20 meters and take the first turn to left to S.Daukanto gatve. Continue straight and again take the first turn to left on Laisves aleja. Walk straight towards the big white cathedral called Soboras. On the left side look for a Hesburger restaurant, the building number 48. IMPORTANT: 10 meters after Hesburger turn into yellow/green courtyard on your left. You will find a small sign above the stairs on your left.